“Imagine a table like this one,” he said. The table was a white plastic two-foot square, with a black and red checkered tablecloth, covered by a transparent plastic cover. We were waiting for his beef ramen and my chicken curry outside at Ricky’s, a Morogoro dive. “Imagine a table like this one. The Okavango Delta is like this table.” He explained that the Delta has a thin layer of water on the surface and on top of that there are two kilometers (mi) of sediment. When earthquakes happen in the region nearby the Delta (the entire table) can shift, causing the water to flow a different direction. I, at that moment in time, knew very little about the Okavango Delta but could imagine that changes like that could result in flooding or scarcity. He is a white-haired, Dutch colleague of my husband’s. He happened to find me seated alone at Ricky’s and joined me. I had previously asked him to tell me about Botswana, a place he had lived. That story began today. Their wildlife programs are well managed and well contained. They have (approximately) three diamond mines and a lot of money, which affords them the opportunity to manage their programs. They have a wildlife program, a zebra program, and a cattle program. In the North, there is a passage where elephants cross. There is only one place for them to travel resulting in a concentration of the animals. They have active anti-poaching campaigns and (as a result) very few problems with poaching. On the Zambezi, you can take a river safari or visit a croc farm. While he did tell me the answer, I couldn’t quite wrap my head around this creature, and I did a bit of research. Publications describe their hooves differently as though they have secondary false hooves or elongated hooves, but all would agree their legs and hooves have adapted for their aquatic lifestyle. Since the sitatunga spends “most of its time among boggy papyrus beds in swamps, the sitatunga's elongated hoofs and flexible toe joints are excellent adaptions, preventing them from sinking into the soft ground,” states the Ultimate Ungulate website. My lunch mate’s tales of the sitatunga motivated me to rush to my car. 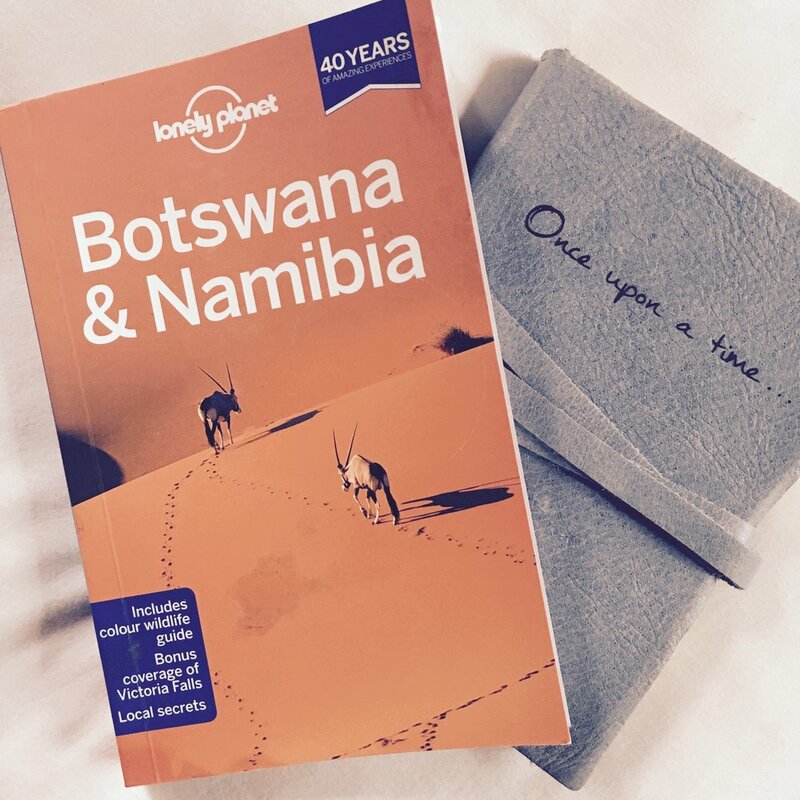 I had borrowed a Lonely Planet Botswana & Namibia guide that morning. I felt compelled to flip through the pages as we spoke. My count makes that about a week. And with that our lunch ended. I returned to my car and drove the three-kilometers home weaving between the potholes and considered the series of coincidences that caused me to receive the Lonely Planet Guide Book and run into him at lunch on the same day. A day where I had an unusual amount of time to delve into the fantasy of far off places. 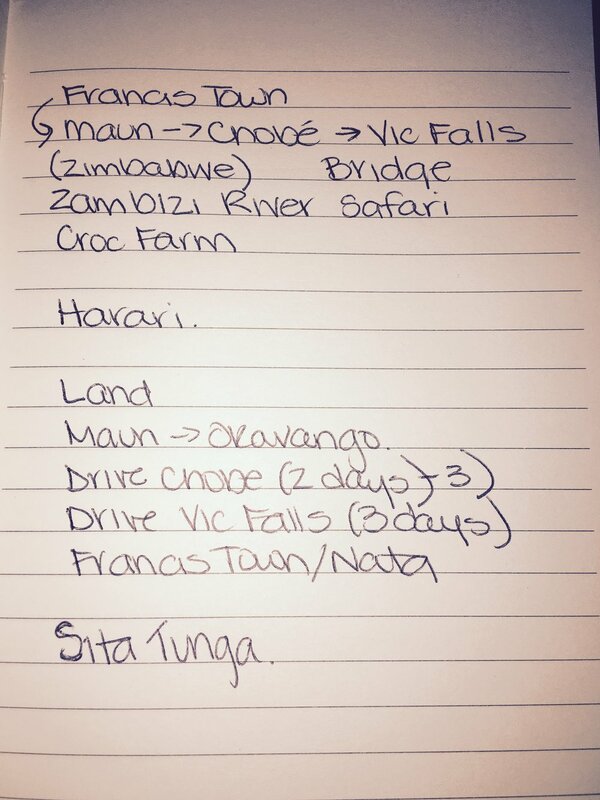 What do I want from my life in Tanzania? Wonder. Bewilderment. Fascination. Peace. Beauty. Are these things too much to ask?